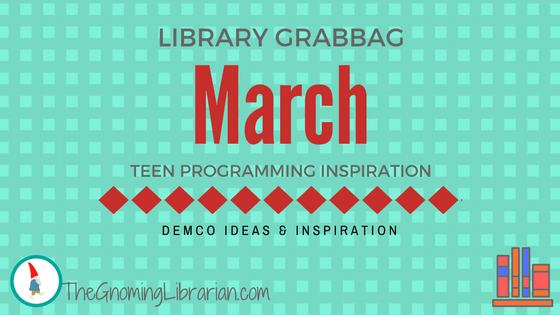 Download the March Teen Programming calendar on DEMCO's Ideas & Inspiration blog. I love your calendars! Do you happen to have one for January 2017? Thank you! I'm so sorry, I don't. 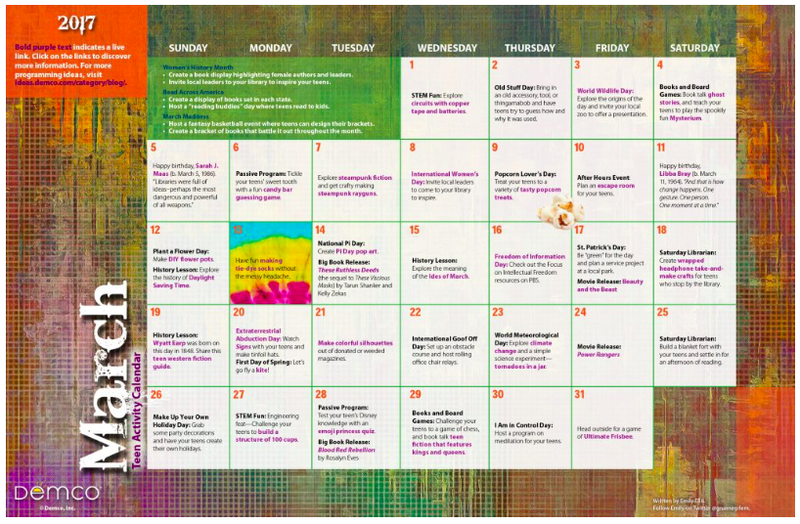 They had me skip January to get another month ahead in the hopes that everyone would have more time to plan and promote.